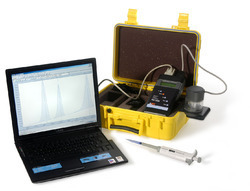 Our product range includes a wide range of on-line trace metal analyzer and portable trace metal analyzer. The OVA7000 can detect arange of metals (for example: As, Cd, Cr, Cu, Hg, Ni, Pb, Se, Tl, Zn, and others) to single figure μg/l levels (typically 0.5-5μg/l). Colour or turbidity does not affect the method. Samples range from waste water, process water, river water to drinking water. Acid/ UV digest and filtration are treatment options. samples will require digestion to prepare them for analysis. Looking for Trace Metal Analyzer ? Automated BOD Analyzer for Pharmaceutical Industry.